The main focus of My Classic Films is provide fellow film lovers my opinion and personal reviews of some classic films. Also, there is a page where users can contribute and review some of their favorite classics as well. 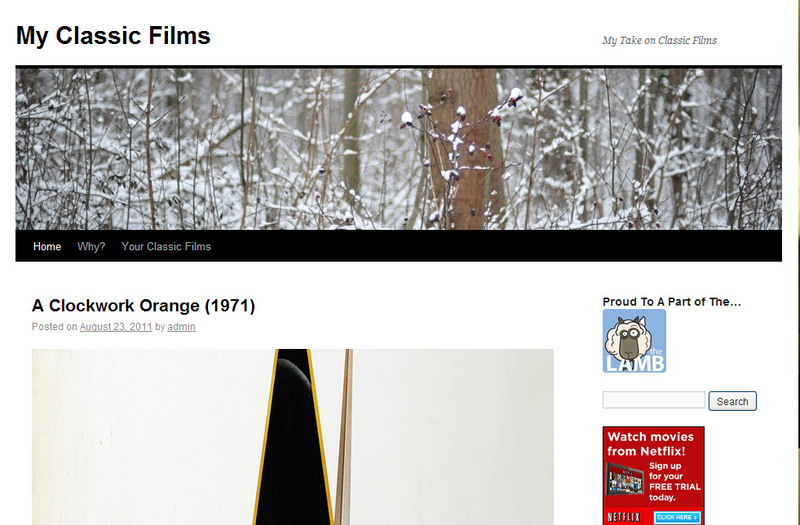 I’m doing the blog essentially because of my interest and love for the classic films. I want to create a place where people can come and not only learn about some interesting classic films, but for them to share theirs as well. I prefer an interactive community for the “Your Classic Films” part of the site, but for the main blog roll, the posts are simply my opinions where people can comment and share opinions. I don’t feel like I’m a teacher…just someone to start the conversation. The site has been live and active for about 7 months and I try to post at least twice a week but I’m continuing to work on posting more often. I’ve just started to get the blog rolling. I was reading the Out of the Past Classic Film Blog and saw it on the side.